I just finished listening to a great book called Predictably Irrational, by the acclaimed professor of behavioral economics, Dan Ariely. As I listened, I kept thinking of the irrational factors we deal with every day in the machine tool business. Ariely says that standard economics assumes people are rational, thus they can make logical and sensible decisions, and quickly learn from past poor decisions either on their own or with the help of standard market forces. However, his research has shown that people are much less rational than we assume. He says that people make the same mistakes over and over because of how our brains are wired, so we need to look at economics based on how people actually behave rather than how we think they should behave. One concept Ariely discusses he calls “anchoring.” This often relates to prices as well as other benchmarks people encounter in business. Anchoring refers to how people’s minds set a standard based on the first figure they hear. For instance, if I’m selling a used machine and the first price I quote a customer is $100,000, that figure will guide the customer to believe that anything higher than that price is too expensive. That’s assuming the customer hasn’t been quoted a different price on that machine previously. If so, he will be anchored to that price instead. For an Acme-Gridley that is 40 years old, it is difficult to objectively assign a value based on market factors, so the experience of receiving a starting price can have a strong impact on the brain. At Graff-Pinkert one of our greatest struggles is figuring out the “right” value to put on a machine. In the end, the right price is when the customer’s irrational brain is in sync with our own irrational ones. It works the same when quoting a cycle time to a customer. If the first figure we estimate for a customer is 15 seconds, any cycle time significantly higher than that will likely seem to him unacceptable. There may be plenty of logic and calculations which show that the 15 second cycle time first quoted was a ridiculous estimate, but after 15 seconds was mentioned, good luck pleasing the customer with a 25 second cycle time. Restaurant owners have found that raising the prices of items on a menu can significantly increase revenue. People may want to stay away from the filet mignon that costs $60, so they settle on the prime rib, the second highest price on the menu for $50, which they are made to feel is a better value. If the restaurant owner is clever he could make the second most expensive item the one with the highest profit margin. To further study the effects of expectations, Ariely revisited the famous “Pepsi Challenge.” I’m sure you all remember when Pepsi conducted blind taste tests against Coke, from which they claimed their drink was preferred. Coke also conducted their own taste tests from which they claimed their drink was preferred. What is interesting is how the companies differed in their taste test procedures. 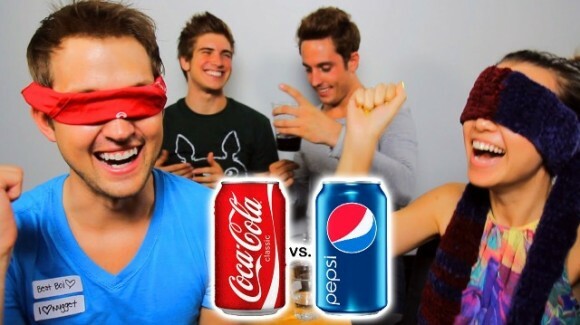 For Pepsi’s taste test, the participants were supposedly blindfolded. While in Coke’s test, the subjects could see which beverage they were drinking. Some neuroscientists conducted an experiment in which participants tasted the two soft drinks while using an MRI to test how the drinks stimulated the brain. By the way, it’s pretty difficult to drink while lying in an MRI tube. The scientists had to inject beverages into tubes running into the participants’ mouths. The participants were told before each gulp whether Pepsi, Coke, or an unknown drink was coming. The neuroscientists found that when the name of the drink was told to participants it stimulated the part of the brain known as the ventromedial prefrontal cortex (vmPFC), which is associated with strong feelings of emotional connection. Another part of the brain called the dorsolateral prefrontal cortex (dLPFC) was also triggered when the participant knew the brand of drink. This region can produce dopamine and activate the brain’s pleasure center. Both beverages had this effect, but significantly more participants drinking Coke stimulated the dLPFC, which produced dopamine, than those drinking Pepsi because more people had fond memories drinking Coke. Who knew — great branding actually has the power to stimulate people’s brain chemistry. Personally, drinking Pepsi is a last resort for me — blind taste test or not. Coke is delicious, and I think I’d prefer to drink water over Pepsi. Will parts produced from your company produce more dopamine in your customers’ brains than those made by your competitors? You better have some good branding like Coke. Does it bother you to pay $5 for a drink at Starbucks? Read the interview Noah Graff did with Dan Ariely in 2009 here. It doesn’t bother me because I never go in Starbucks. That’s the great thing about capitalism! I do not visit Starbucks. $5 for a cup of coffee is too high. Either the pepsi or coke, mostly taste the rum I put in it. Starbucks? Why? DD coffee is better and less expensive. Pepsi, Pepsi no Coke, no chip, no Starbucks. Does it bother you that old white men are the majority of shop ownership? Why do you suppose that is the case? They want to claim it’s some European heritage work ethic, but what it really is is the good ol’boy network. I recently lost two out on two contracts because I am an old white man. $5 for Starbucks: Nope, but then I’ve never had any coffee, ever. I’m 43 now, and don’t see that changing anytime soon either. Great book. Very thought provoking. Now if I could just rationally apply those principles, I’d be a rich man. Pepsi from a can. But coke outta the gun. Never been to Starbucks. I’ll stick with my $.83 KwikTrip refill. I buy a 8 oz. bag of Ghirardelli premium baking cocoa for $5 and which makes 2 cups of hot chocolate a day at work for 1 week. Some of my employees, who can least afford it, buy Starbucks and take out lunch everyday. Of course they are also driving new SUV’s and I am driving a 2001 Toyota Sienna with nearly 300,000 miles. Coke for. Me but my favorite drink is my wife’s 3rd margarita! I’m 65 and have never drank coffee so I don’t car either. Starbucks is competitive when buying coffee, so in a pinch that will do, but they over roast everything, so not really the best coffee. Latte, smoothie, cappuccino, no way not worth the upcharge. I also enjoy the wife’s third drink. Neither. Seltzer, or Heady Topper. I don’t care for Starbuck’s coffee. We like Trader Joe’s French Roast, and brew it at home. I almost never drink coffee out. I love Heady Topper and I don’t mind paying for it. I’ll pay good money for good beer! IMO, Heady is so worth it I stood in line for two hours last winter so I could buy a case. This was instead of skiing – which was terrible anyway so it really wasn’t such a sacrifice. And the bonus was that all the proceeds from the sale went to the local food bank. I must be the lone coffee drinker, and love my Starbucks 1-2x a week. Guess I wired for it now. Question # 1: Neither. Water or tea is preferred. Question # 2: Not as rule. I do go there once or twice a year, to indulge. Go to the local coffee shop. Cheaper, better coffee and LOCAL. Don’t drink soda. They are poison to the body. Sugary drinks that are formulated with HFCS are one of the many reasons way 75% of Americans are so fat. Starbuck – just coffee and never $5. The place is over rated and everything else besides black coffee is loaded with artificial chemicals. $5 coffee? Not this guy, that is disposable income in my book, which I don’t have. In a pinch, meaning I didn’t brew my Folgers, I stop at McDonalds. Noah, can you research why this perception of bad value at Starbucks is so persistent ? It is really interesting to me, because I had the same perception until about 5 years ago, when I actually went to Starbucks. Turns out that you don’t have to pay $5 at Starbucks at all. It is only $1.75, with free refill, and if you pay with a membership card, after 10 drinks you get a free sandwich. Actually great value, and much better than at most coffee shops. Is this bad marketing by Starbucks, or do they do this for a reason ? I agree, Starbucks gets beat up a lot and it’s mostly unwarranted. Maybe people are reacting to the snooty image? I love the Americano and ask for it with steamed milk. It’s $2 and delicious. My best friend gets me a $100 Starbucks gift card each year for my birthday and it lasts me the whole year. It’s also nice to have a decent place to sit with wifi when you’re out on the road. I also buy Starbucks French roast beans at Costco and drip it myself every morning. I like Starbucks. Pepsi MAX. It’s even better with a half shot of rum! I’m 41 and never been a coffee drinker. It smells great but tastes horrible!